A member came to me and said, “Congratulations”. Oh you mean about the second grandchild. “No, your blogpost on How To Get To Bukit Indah Shopping Mall By Bus is very high up on the Google search list”. “My daughter had asked, Is that Pastor Kenny’s blog?”, she continued, “and I told her, Yes it is”. “Wow, Yes I know about that. I have been seeing so many hits every week. There must be so many people going to Bukit Indah and needing step by step instructions”, I replied. What! 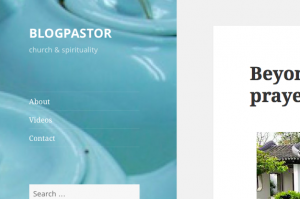 Has Blogpastor become Bus-pastor? My blog will soon lose its identity as a blog that is supposed to focus on Church & Spirituality and on the side some personal stuff. Now it is about how to get to Bukit Indah AEON shopping mall by bus! Should I care? Should I take down that post? Then I will have to take down other popular posts like Mt Rinjani Or Mt Kinabalu: Which Is Tougher? or Car Repair In Johor: Worth The Hassle?